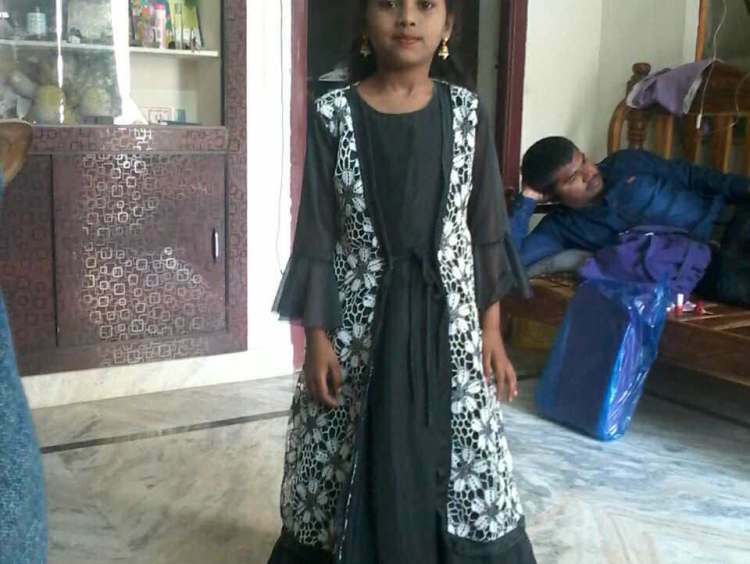 7 year-old Akshara was dressed and ready to go to school that day. She was running a fever, but she was determined to go any way. 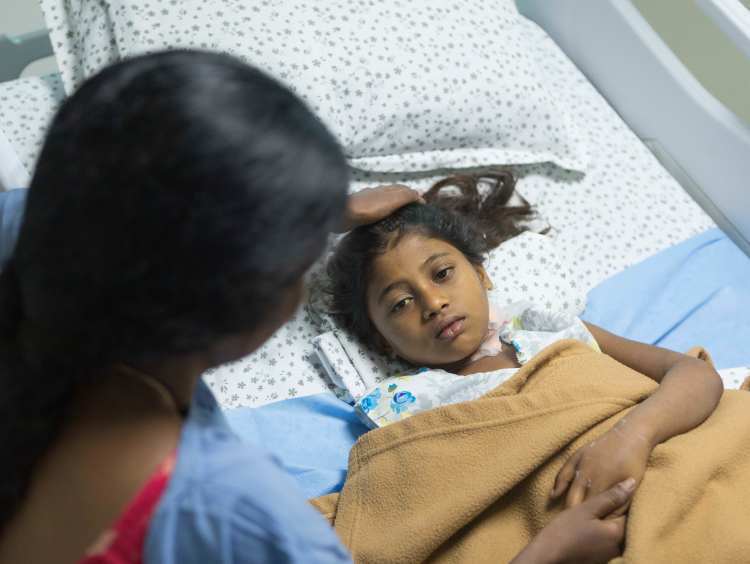 Her parents, Ashok and Chaya, took her to the doctor instead. From there started this family’s painful journey. 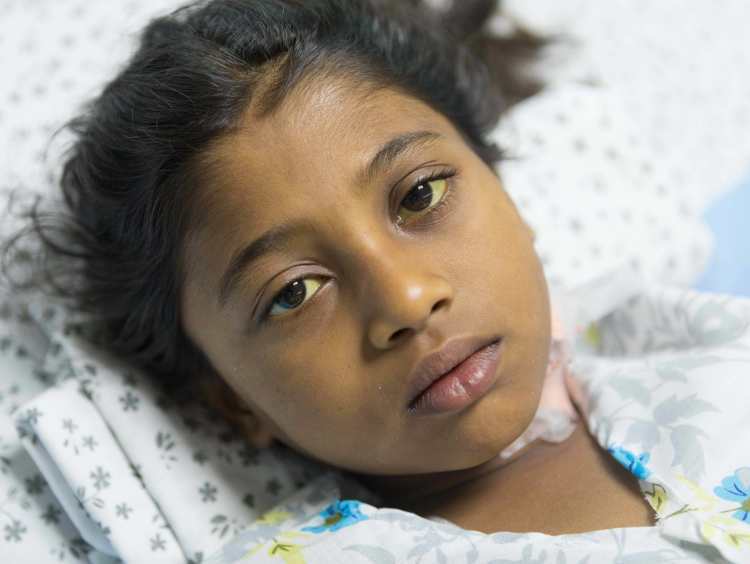 Akshara was diagnosed with jaundice and admitted in the hospital, but her condition kept getting worse. In a matter of five days, this bright, cheerful child became so sick, she is now fighting to live in the ICU. Being the class leader and a straight A+ student, school is her most favourite place in the world. 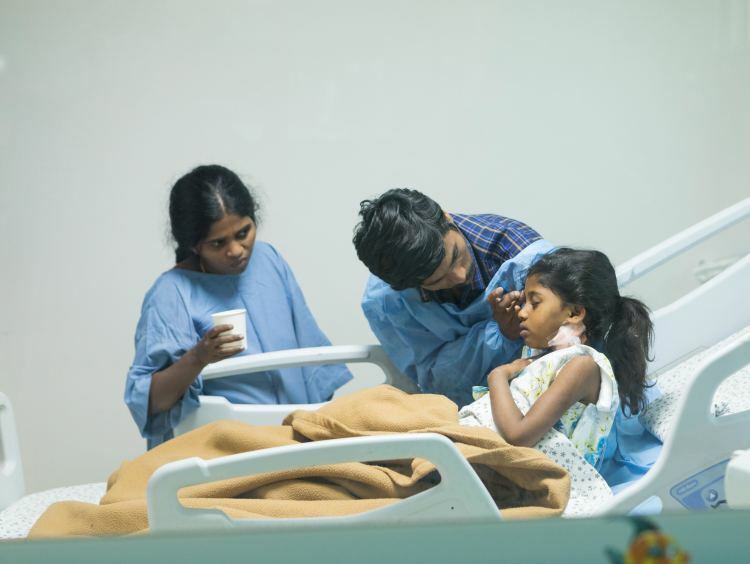 But from the last 15 days, alone in the ICU, she has been going through hell in a hospital in Hyderabad after being diagnosed with liver failure. “We are very poor people. It was my daughter’s glowing, vibrant face that kept us going through all the tough times. After the birth of our second daughter three months back, I decided that I would quit my job as a office boy in our village in Nizamabad, and move to Hyderabad to look for better prospects. I did come to Hyderabad for sure, but it was not for better, but for worse,” says Ashok with tears streaming down his face. From the last three days, Akshara has been going through immense pain. She is battling an infection (deadly in her condition), her stomach is swollen and she even passes bloody stools. 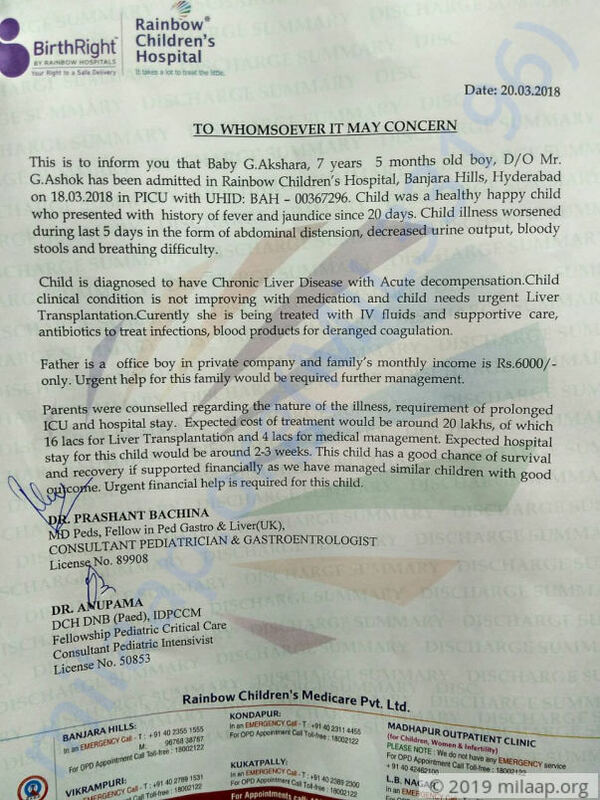 The worst part is that her doting parents cannot be with her in the ICU as she is at a risk of contracting other infections. They can only meet her during specific hours, that too wearing sterilized robes. Akshara also has difficulty in breathing properly. The doctors have already warned her parents that she might not survive without an urgent liver transplant. “My daughter knows that she is unwell, but she doesn’t know the gravity of the situation. How can we tell her that? We have told her that she has fever and that she will be able to go to school only if she stays in the hospital for a few days. There are a dozen tubes all over her body, but my daughter smiles when she hears the word ‘school’,” says Chaya. Ashok is struggling financially to pay the hospital bills that have been accumulating since Akshara was admitted. He borrowed money from local moneylenders and even sold off his wife’s jewellery to pay Rs 3 lakh for medical expenses till now. 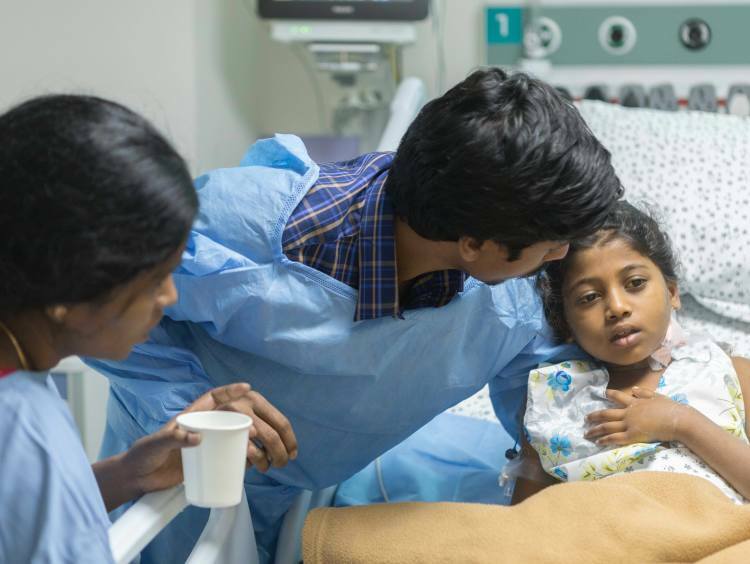 Akshara needs an urgent liver transplant if she has to survive. But it costs Rs 20 lakh – an amount Ashok cannot imagine making not just in a few days but in his entire lifetime. Adding to his woes is the fact that he is unemployed now. 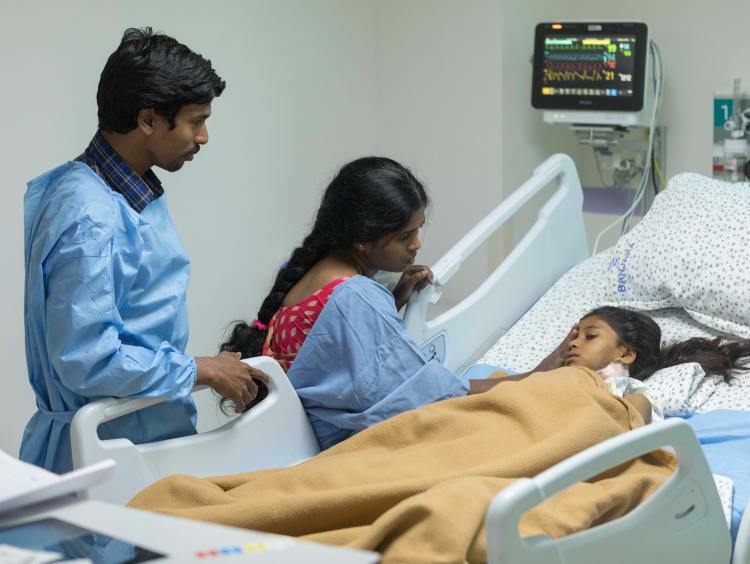 The family keeps shuttling between the ICU and their room with their three-month-old baby in tow, just to make sure that they do not lose Akshara. But if they do not receive enough funds soon, they might. Thank you for your overwhelming love and support. This couldn't have been possible without you all. It gives me immense pleasure and relief in informing you all that Akshara has been discharged from the hospital. She is doing well now. The transplant was done successfully and she is feeling a lot better than before now. We couldn't have imagined doing this if you hadn't been there by our side. Thank you again. We will forever be grateful to you. Thank you so much for your overwhelming response. I feel immensely happy to inform you all that my daughter, Akshara is doing well now. She successfully underwent liver transplant. The doctors did the required tests and my husband proved to be a potential donor. Both my daughter and my husband are doing well now. Akshara is still in the hospital. She will be discharged in about 10 more days. Her father has been discharged already. There are no major side effects. She had mild fever and stomachache yesterday but those have been controlled via medicines now. Once she is discharged, we will have to go for weekly check-ups. We are all hopeful about her speedy recovery now. Thank you so much for your overwhelming love and support. Thank you so much for your tremendous love. We are grateful to all of you for being so supportive during such a hard time. Akshara is doing okay currently. The doctors are trying to control the liver infection through oral medication and injections until the transplant is done. Also, she is being given medicines for jaundice. She doesn't have any fever now. She is weak but is able to talk and walk a little. She has been advised to take a healthy diet, mainly including rice and cereals. We are really hoping to get her surgery done at the earliest. The family is trying to arrange for funds to be able to afford the transplant.